Chicago Gaming today confirmed what had been widely expected, that Monster Bash would be their third ‘remake’ title, following on from Medieval Madness and Attack from Mars. 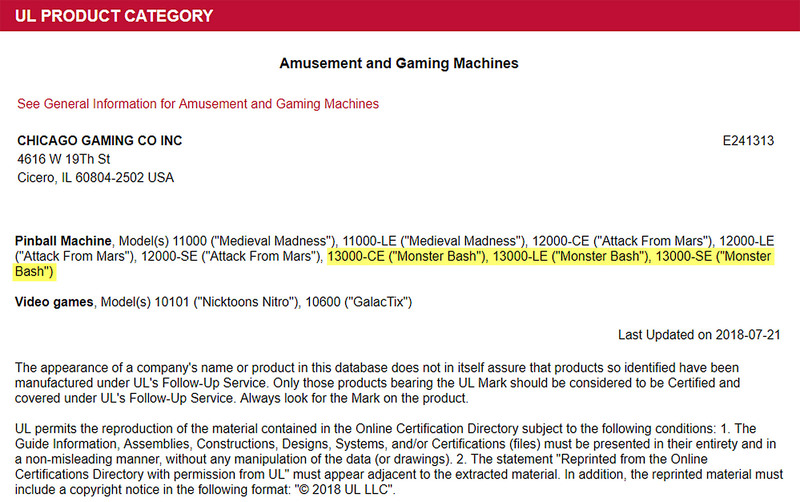 The UL website search resultsSo we can see that there will again be three variants of the Monster Bash Remake – a Collectors Edition (CE), a Limited Edition (LE) and a Standard Edition (SE), copying the range of models available for Attack from Mars. Chicago Gaming owned up to the third game in a post on their Facebook page. Chicago Gaming admit to Monster Bash as their thrid remake titleThe company had been delaying the announcement for many months. It was due to be revealed at the Texas Pinball festival in March but delays in completing the extra features and getting approval from the license-holders meant that reveal was called-off. Now, four months later the cat is officially out of the bag. Monster Bash it is. 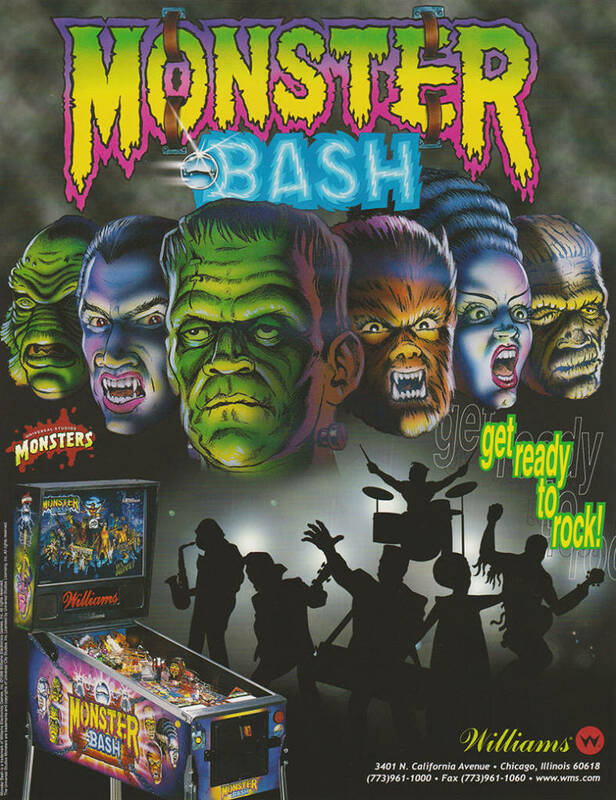 The flyer for the Williams Monster Bash gameWe will bring you full details of the added extras Chicago Gaming have designed to enhance their Remake versions just as soon as they are announced.